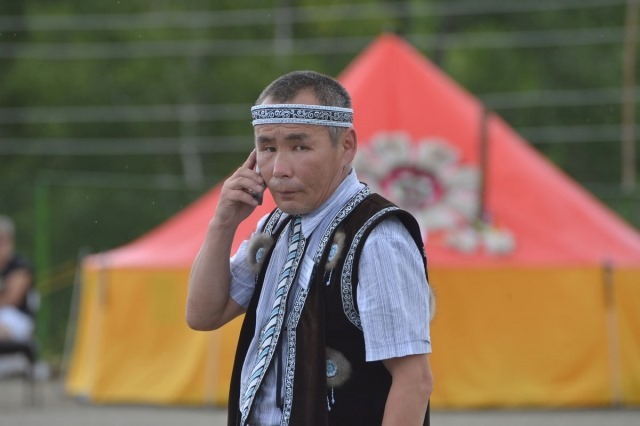 Sergei Nikiforov is an environmental rights defender and an Evenki indigenous leader in Ivanovka village in the Amur region in Selemzha River basin. On 29 September 2015 he was sentenced to five years in a prison camp and a fine of 16 million roubles (?152,000) for bribery and fraud by a court in Blagoveshchensk, in the Amur region. On 8 December, the sentence was reduced on appeal to 4 years and the fine was reduced to 3 million roubles (?28,000 pounds). Sergei Nikiforov is currently in detention in Blagoveshchensk awaiting transfer to a prison colony. The charges relate to a building project that he commissioned in 2012 from an engineering firm. Despite receiving payment in advance, the firm never carried out the works and in September 2013 Sergei Nikiforov lodged two complaints against the firm for fraud and bribery. His complaints were successful and the firm was asked to refund him, but in a strange turn of events, in October 2013, Sergei Nikiforov was accused by the engineering firm of fraud and bribery. He was put under house arrest pending trial and there was no further action until September 2015. In July 2015, the Petropavlovsk mining company was granted a licence to extract gold using explosives within 2 km of Ivanovka village without any consultation with the affected Evenki community as required under Russian law. Talks between the Evenki, representatives of the company and the local government failed, but the works went ahead. Until then, the mining company had been extracting gold in the region for some years and relations with the Evenki were good. On 10 September, the villagers asked for all works to stop pending an ethnological and ecological survey and declared their intention to oppose the mining by all legal means. Sergei Nikiforov led the opposition to the latest licence despite being under house arrest. There are reasons to suspect that Sergei Nikiforov’s trial was unfair and intended to discourage opposition to the mining project. The 2013 case was reactivated in September 2015 just at the time when the villagers made clear their opposition to the mining project. Sergei Nikiforov’s initial testimony was taken before his lawyer could be present and Sergei Nikiforov later withdrew his testimony in court. The court also refused to consider vital defence evidence and to call crucial witnesses. For example, the court refused to consider banking documents which proved that Sergei Nikiforov could not have accepted bribes on particular dates in the city of Blagoveshchensk as he was in the regional administrative centre of Ekimchan, 650 km away carrying out banking operations.
? Reminding the Russian authorities that they have a responsibility to protect human rights defenders and ensure they can carry out their legitimate actions without fear of reprisals.